“Barley grains possess impressive features that make them ideal for creating the malt required by the brewing industry,” says project leader Associate Professor Matthew Tucker, ARC Future Fellow in the University’s School of Agriculture, Food and Wine at the Waite campus. Image: Cross section of mature barley grain stained with Calcofluor White and viewed under UV light to observe the cell walls. The aleurone cells are the cube-shaped cells and are located between the outer husk (red) and inner starchy endosperm. M. Tucker. 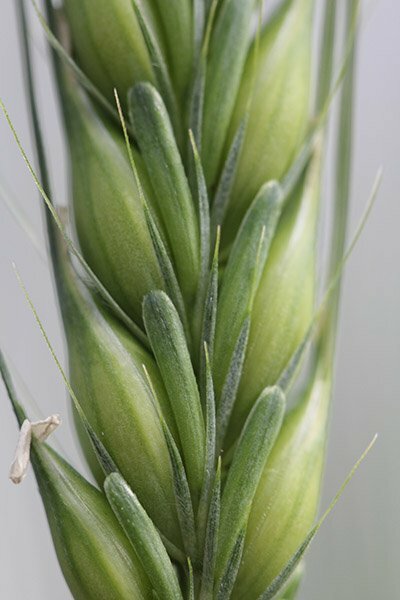 Image: Barley spike containing developing grain. M Tucker.